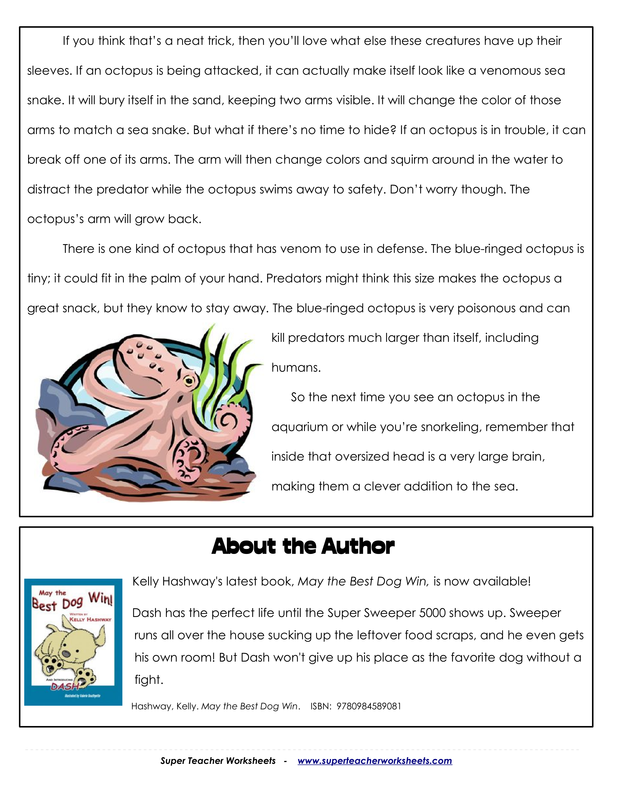 Give one example from the text that shows how intelligent octopuses are. What are two ways an octopus uses its body to escape predators? Describe the steps the octopus takes to make itself look like a venomous sea snake. 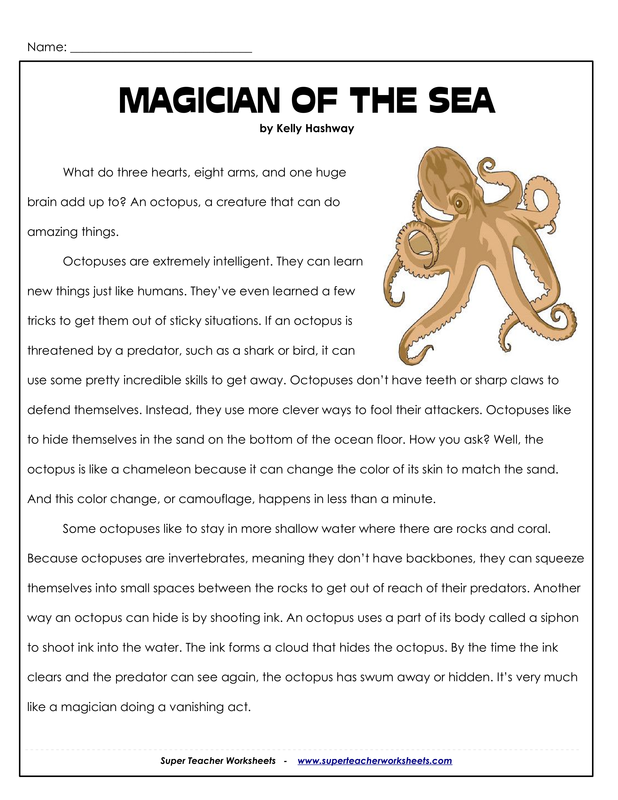 According to the text, what is one way the blue-ringed octopus uses its appearance to trick its predators? Its bright blue color catches the predator's eye. It can fit in the palm of your hand, making it a great snack. It shines a ring of blue light that attracts predators. It camouflages with the blue ocean.